Twin town relations are basically formed based on the initiative of the civil sector and citizens, and although the formal co-operation is established by the municipal councils of the local governments, only those relations prove to be viable and produce results in which the population, institutions and civil organisations, or, in certain cases, the members of the business sector participate actively, and really feel concerned about. In the spirit of town twinning, from the time of the official conclusion of the twin town agreement, each of the above mentioned parties has acted in this field equally and based on its intentions and opportunities. The local government is only the first among the equal parties and in this capacity is trying to harmonise – and, based on its means, support – the various efforts. The Council of European Municipalities and Regions monitors the number of twin town agreements between European municipalities and local governments. Adding up all the relations of each country, the current number of twin town agreements stands at approximately 40,000. However, as each agreement requires at least two partners, it is likely that there are currently approximately 20,000 twin town agreements in Europe. We would like to note as a matter of interest that, according to 2010 data from twinning.org, the website of the European Council, Hungary was the second most active country in Europe in terms of the number of new relations established per number of inhabitants (Estonia was the first in this regard). With its 9 twin town agreements, Tata with its population of 24,000, significantly exceeds the mean average of approximately 1.7 relations per 10,000 people in Hungary. The history of Tata's town twinning began in 1985 when the Town Council decided to develop co-operation with Alkmaar, in the Netherlands. As far as we know, this was the first twin town relationship between a Hungarian and a Dutch municipality. Barely two years later, in 1987, the municipal council established a twin town friendship with Gerlingen, in Germany. Today, these first steps that our town took in the “international arena” are clearly viewed as a political opening up, the first sign of the later political changes – despite the fact that the conclusion and evolution of these relations were strictly controlled by the socialist system. After 1990, twin town relations significantly facilitated the opening up of Central and Eastern European countries towards the west, making it possible for local people to get familiar with the citizens of Western European countries, thus ultimately promoting the expansion of the European Union. As part of this process, our existing twin town relations became stronger and the first freely elected council of our town concluded an agreement with two new municipalities: in 1993, with Dammarie-lès-Lys in France and in 1994, with Arenzano in Italy. At the Millennium in 2000, we successfully developed a “twin town triangle:” We established a formal relationship with Montebelluna, the Italian twin town of Dammarie-lès-Lys. In 2004, our twin town agreement with Pińczów in Poland became official. In 2005, within the framework of the co-operation between the “Visegrad Four” (Hungary, Slovakia, the Czech Republic and Poland), at a conference organised in our town, the mayors of Tata, Szőgyén, Pińczów and Bystřice nad Olší in the Czech Republic signed an agreement to support efforts to develop relations between municipalities and subregions by working as initiators and coordinators. In this way, our town also became engaged in the co-operation of “the Visegrád Four.” In the same year, the conclusion of a twin town agreement with Szőgyén and Pińczów meant that a new twin town relationship between three municipalities was established which also included our town. Indeed, the twin town activity of the various communities of our town can also be expressed in figures. 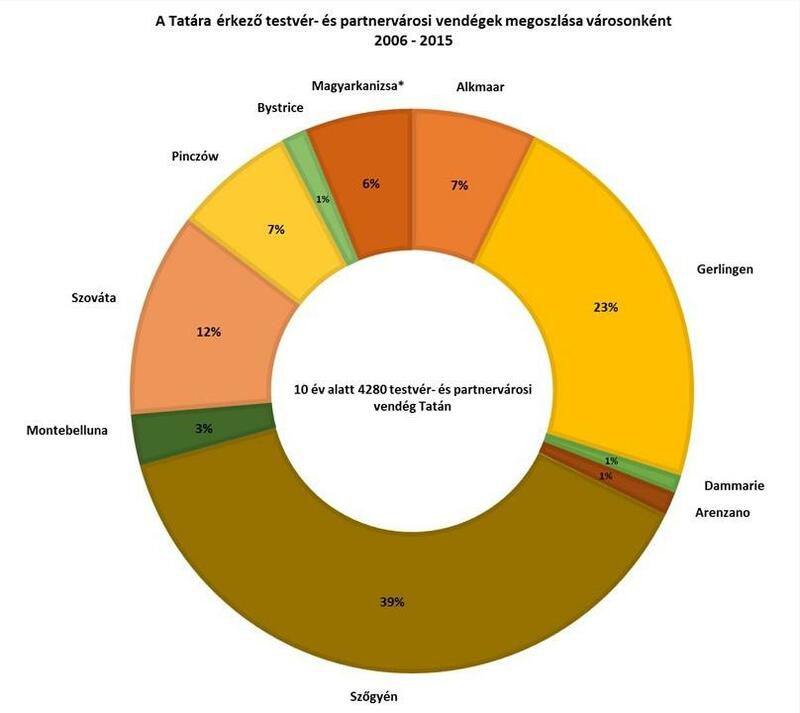 Looking at the data for recent years, we can say that various smaller and larger delegations and groups from our twin and partner towns have visited Tata on 30-40 occasions annually, and there have been 20-30 opportunities for the citizens of Tata to visit one of our twin or partner towns. In the last 10 years, a total of more than 600 meetings have been held between the citizens of Tata and people living in our twin and partner towns. 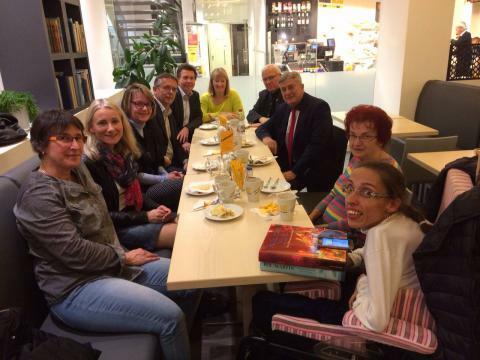 We should note that as a result of the two agreements concluded between three towns and the Visegrad Four co-operation, we often meet the representatives of one of our twin towns in a third country, in one of our common twin or partner towns. In the last years, a total of approximately 800-1,000 people participated in the “town twinning movement,” in terms of departures and arrivals. Considering the data on participants in the last 10 years, for the conclusions that can be drawn about the extent of involvement of each twin and partner town that participated in this “movement of people” (taking into account that Magyarkanizsa has only been our twin town since 2012, and that we only concluded a Visegrád co-operation and not a twin town agreement with Bystřice) please have a look at the enclosed charts. 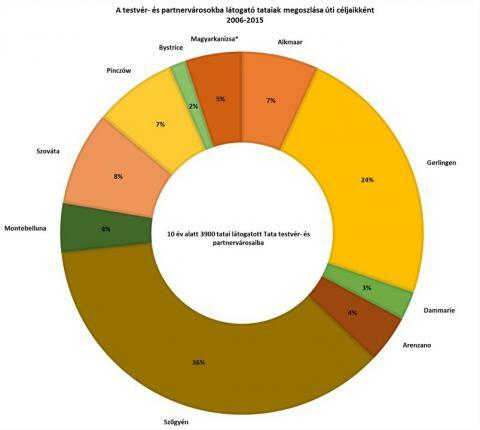 We can conclude that between 2006 and 2015, approximately every third visitor came from Szőgyén and every fourth from Gerlingen, and similarly every third person from Tata who visited one of our twin towns travelled to Szőgyén and every fourth to Gerlingen. Jean-Claude Mignon, the former mayor of Dammarie-lès-Lys, who was once President of the Parliamentary Assembly of the Council of Europe, drew our attention to the Europe Prize application system in 1998 and helped us take our first steps in the four-stage journey that led to winning the award. An event in Dammarie-lès-lys in January 2007 drew the attention of the leaders of Tata to UNICEF's Child Friendly Cities initiative, which the municipal council of the local government of Tata joined one year later, in early 2008. In the Tata Child Friendly town annual action plans, the “children's public hearing,” which is held in the autumn and has been included in the action plans from the beginning, was inspired by the “children's parliament” of Dammarie-lès-lys. The Cart-pushing Festival, a traditional event in the municipality of Kocs, is based on Montebelluna's cart-pushing competition, the “palio.” At Pentecost in 1998, in a large-scale twin town event in Tata, the local government officials of Kocs met and consulted with the officials of Montebelluna, who took part in the event only as “cousins”, as the representatives of Dammarie-lès-Lys's Italian twin town. The first cart-pushing event was staged in Kocs in 1999, while the twin town agreement between Tata and Montebelluna was officially concluded in 2000. The cart-pushers of Kocs, Montebelluna and Tata regularly compare their strength and speed in the cart-pushing competitions in Italy and Hungary. 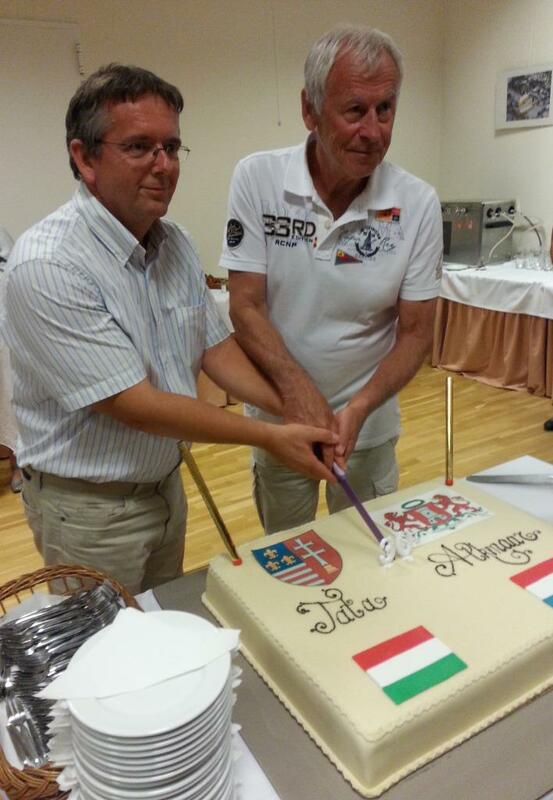 In 2015, the town marked 30 years since it established its first twin town relationship. The three decade-long history which has recently been crowned with the Europe Prize encourages us to continue the good traditions and develop innovations. Among the 2015 twin town events, there are examples both of preserving our traditions and innovation. Every year since 2001, our local government has also supported the students of the Hungarian minority elementary school in Szőgyén by organising a history and Hungarian language competition to provide students with a deeper knowledge of our national cultural heritage. The competition in April 2015 was already the 15th in a row. At the end of term ceremony of the Csongrády Lajos Hungarian Language Elementary School, our local government awarded the students who achieved the best results in the Hungarian language valuable book packages (worth 10,000 forints each) for the fifth time already: 3 lower and 3 upper elementary school students. In August, we welcomed the most outstanding students of the Elementary School at Fényes Fürdő (30 people in total) for a 5-day long holiday. This year, for the sixth time, our local government participated in the enrolment programme in Felvidék of the Rákóczi Association which encourages Hungarian minority families to send their children to Hungarian minority schools. 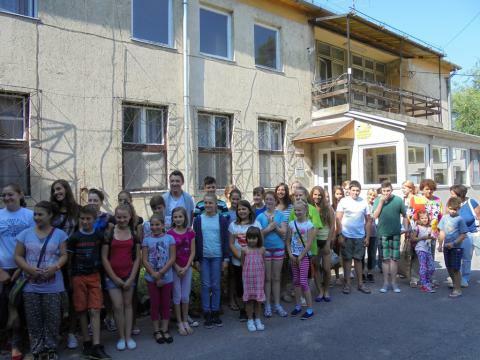 Our financial support of 170,000 forints helped 17 children from Szőgyén with the start of the school term this year. In 2010, the Day of National Unity on 4 June was inaugurated by the Hungarian parliament to remember the anniversary of the Treaty of Versailles which ended World War I. On that day, commemorations were held again with the participation of the representatives of our cross-border Hungarian twin towns. 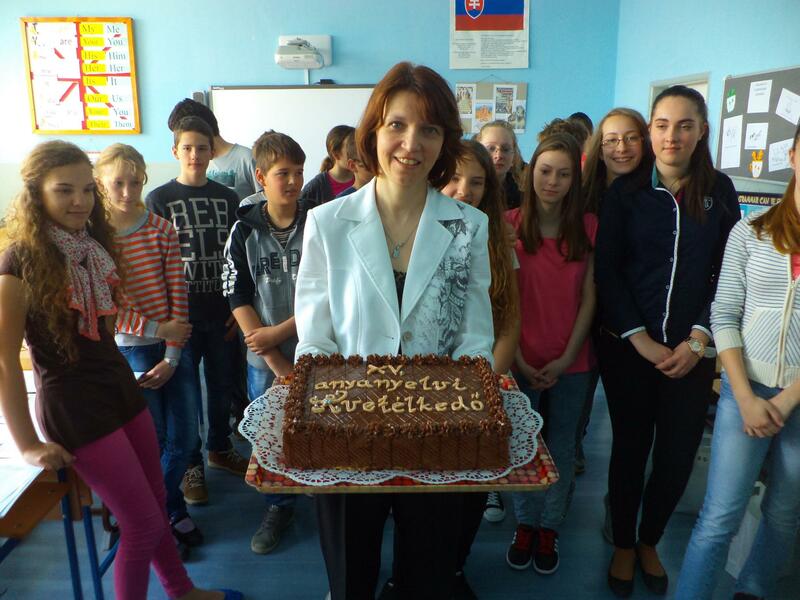 Our guests took part in the town ceremony and also visited the school events in Tata. We set up a cross on Mindszenty tér in memory of the Hungarian families who were forced to leave their hometown, Szőgyén following World War II. (As part of the Czechoslovak-Hungarian population exchange, 135 Hungarian families from Szőgyén were relocated to Hungary. A significant part of these families were relocated to the surrounding area of Tata, many of whom later moved to Tata.) 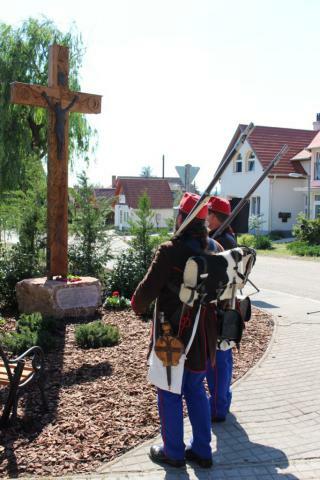 The original of the corpus of the cross was brought across the border by a displaced family from Szőgyén. An identical cross was inaugurated in Szőgyén in July. Our local government contributed to the revenue of the charity performance on the Day of National Unity to round it to 500,000 forints which was then allocated to the Mariánum-Tündérkert Spiritual and Cultural Centre and the Kodály Zoltán Educational Centre. Following the events in Tata, we organised together with the town students' council the 5th Tata-Szőgyén youth cycling tour. For the 13th time we held our talent nurturing arts camp in August with the participation of children and young people from Tata, Szőgyén, Szováta and Magyarkanizsa. As a result of our application to the Bethlen Gábor Fund and the funds we received, dispersed Chango children from Pusztina could also participate in the camping this year. The aim of this camping is to increase the sense of belonging to a nation and common culture – built on the openness of children to the arts. 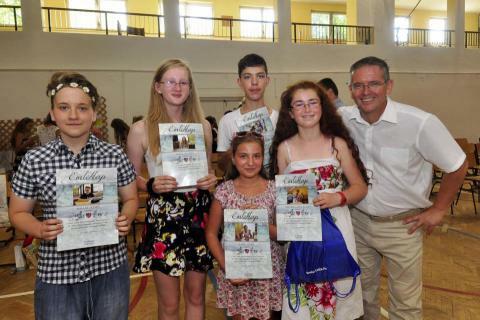 Young people (6 from each municipality) attended the fine arts and crafts classes which were held by artists and craftsmen from Tata and its twin towns. The programme was enriched with sightseeing, a boat trip and literature games and was closed with a joint exhibition. 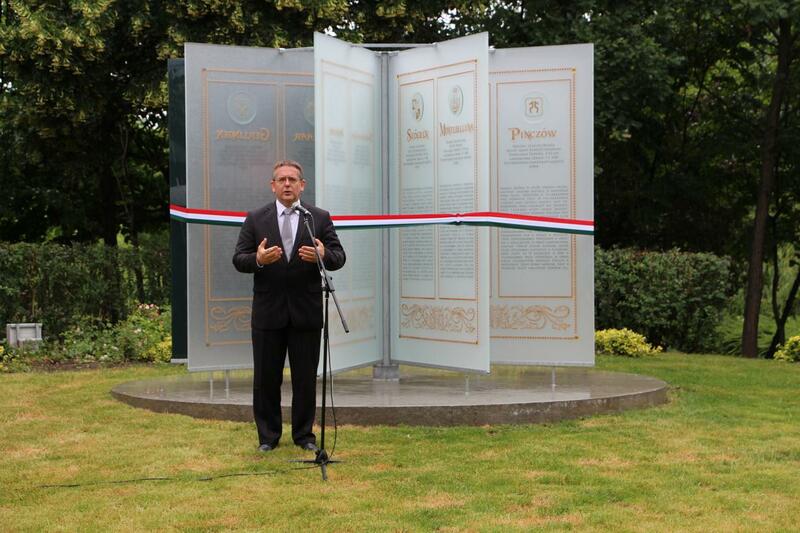 In June, we inaugurated the glass book of twin towns in the Twin Towns' Park. This special work of public art was created by Dorka Borbás, applied artist, and was financially supported by the National Cultural Fund. Brief information about our twin towns is included in the pages of the book. 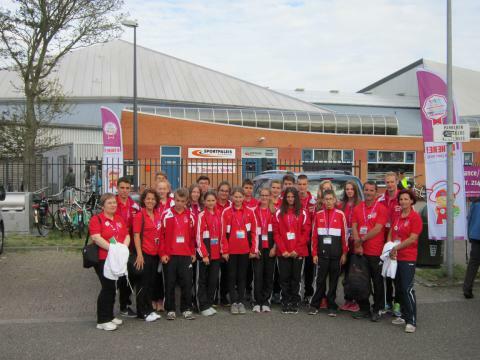 Also in June, Tata participated with its most outstanding 12-15-year old athletes in the large-scale International Children's Games in Alkmaar. 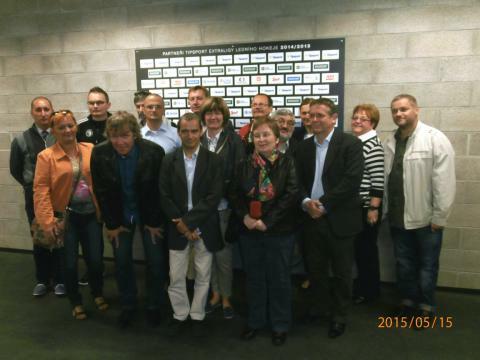 The Alkmaars Uitwisselings Comité, the twin town committee of Alkmaar, undertook the substantial travel costs of the 24-strong delegation from Tata. The members of the committee welcomed in Alkmaar the winners of the secondary school twin town competition in Tata which focused on The Netherlands and Alkmaar in 2015 and has been organised by our local government every year since 2000, with a different theme each year. We commemorated the 30th anniversary of the conclusion of the twin town agreement between Tata and Alkmaar on the weekend of the Mini Marathon, including the most Dutch runners ever, 19 people in all. The Mini Marathon was also successful in 2015: for the 32nd time, the 13 km-long race saw a total of 110 visitors from our twin towns come to Tata. Beside the runners from Alkmaar, there were participants from Gerlingen, Szőgyén, Szováta, Pińczów, Magyarkanizsa and – for the first time in the competition's history – Dammarie-lès-Lys. In 2015, we were very pleased to note that the relations between Tata and Bystřice have noticeably increased. In May, the mayors and institution heads of the Tata subregion made a study trip to our Czech partner municipality which took place in a very good atmosphere and gave much food for thought, while, in the beginning of October, it was the children's turn: The local government of Bystřice organised a youth meeting for the upper elementary students of its Visegrad partners which focused on the environment and healthy lifestyle and in which young people from Tata also took part. This meeting was held on the 10th anniversary of the Visegrád co-operation between Bystřice, Pińczów, Szőgyén and Tata. 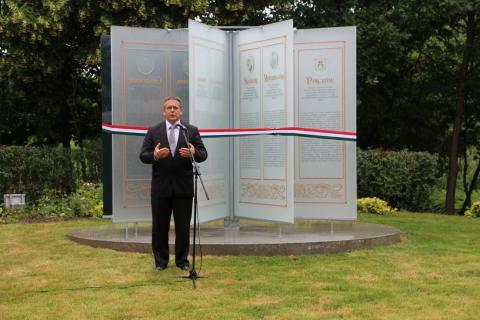 The organisation of the joint commemoration of the jubilee was undertaken by the local government of Pińczów, with the event held in our Polish twin town in early July. Following a long preparation, with the grant of the European Union's “Erasmus+” programme, we organised a five day-long international youth meeting, named the “Friendship builders,” in Tata with the participation of 8 secondary school students from Dammarie-lès-lys and 8 from Tata. Since the beginning of our relationship, this was the first time that a several-day long, intensive meeting could took place between young people from Tata and Dammarie-lès-lys. The meeting went well and exceeded our expectations despite the fact that the social, cultural and family background of the participating teams differed significantly. Our French friends promised to invite young people from Tata to a similar meeting in Dammarie in autumn 2016 – if our application is successful. An exhibition by mouth painter, Szonja Szabó, was opened in the town hall of Gerlingen at the end of November. The organisers linked the opening of the exhibition with the Kathreintanz, a music and dance event, in which Kenderke Tatai Szarkalábak, a dance group from Tata, also took part. However, this was not the only group from Tata to visit Gerlingen in 2015. In April, runners and the Egressy Chamber Choir, and in September, the youth swimming team participated in events in our German twin town. The latter reciprocated the visit by young swimmers from Gerlingen in the spring.